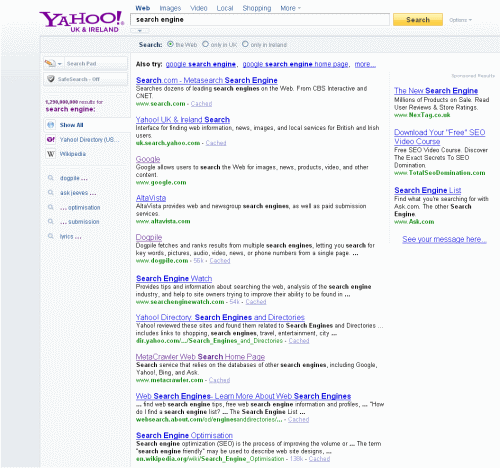 List of Best Search Engines | Voted by themselves! I promise to use it only to send you Ed's Web Bulletin. The definitive list of Best Search Engines voted by the search engines themselves. The full results are shown from Google, Yahoo and Bing. Perhaps Google is exceptionally humble, but they seem to have emitted themselves from their own results. Yahoo haven't shyed away from including there own results this time, but they've scored a bit an own goal by ranking 'Search.com' top! 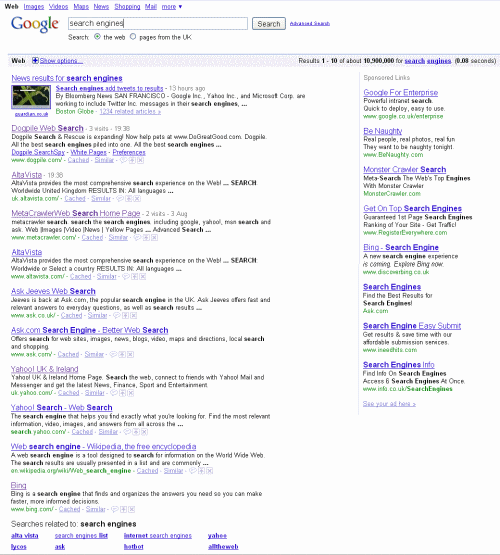 Bings results are much more random, and they've included SearchEngineWatch.com a total of three times as well as Wikipedia twice. Notice the emission of Microsoft's hard worked Bing: The algorithms have voted. 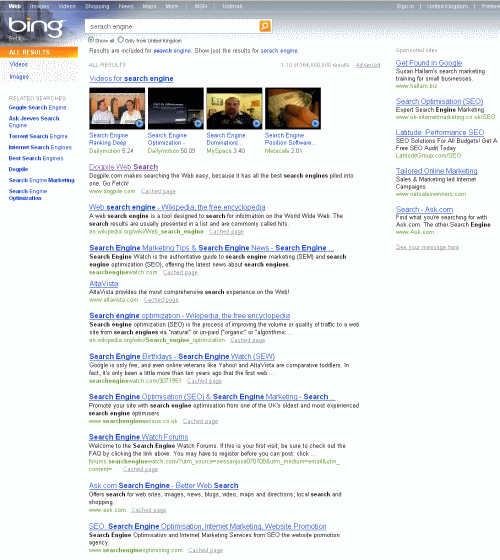 Massive SEO consultancy potential for Microsoft I think! More articles like this in my dedicated Web Bulletin. Read expert interviews, in-depth articles and analysis, products reviews and of course, the odd freebie ;-). Subscribe today - NO SPAM EVER!